Focus on the positive. That’s a wonderful perspective to maintain in our daily lives. But just for today, I’d like you to focus on the negative. Negative space, that is. Leaving negative space on a project is a hot trend in the world of paper crafting right now. When you remove an image, you include the paper it was cut from. I know many of us have seen cards with text cut out and patterned paper peeking through from behind. That’s a perfect example of negative space. I experimented with this technique today and I’d love to show you the results. 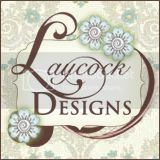 I love how easy it is to use the Secret Garden Stamp Set and the Secret Garden Collection Framelits Dies to create a bouquet of flowers. But do you notice how placing the flower over the negative space adds an interesting detail to this card? Utilizing negative space is an exciting new way to create with all of your Framelits Dies. Punches are also fun to use for this technique. The negative image of the “butterfly” looks as if it’s soaring among the clouds. It took only a few minutes to create this card. I know you’ll enjoy giving this technique a try! Remember tomorrow is the last day to order...then the new catalog comes out! I am sooooo EXCITED. You will love the new stamps! I love this card! It uses the the smashed soda pop tops and the Best of Stamp sets. This is the February set and the lips are the new stamp among the older stamps you have seen before. Below is a video on what "all the fuss" is about. If you enjoy this video, please subscribe to my channel! Subscribe to my channel so you will know when I post a new video! 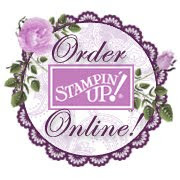 To order these wonderful stamps click here. I love these "25th BEST OF" stamps. OMG...they are bringing back some of my favorite single stamps and adding it to others I can't live with out. The stamps sets are available until March of 2014. The best part of these stamps are saving 6 25 stamps and earning a free one stamp set from SU! All you have to do is fill out this quick form, check your inbox for my first message and you're done! It's time to put in your order for My Paper Pumpkin! You need to get the order in before the 10th. I made a video to let you see what you will receive and a few additional tidbits to help you with your decision! Thanks for stopping by and Creating cards with me! I told you that I would create a video on the technique called Braiding Ribbon...well months went by and my 50 year old plus age just forgot until I got a comment on "WHERE IS THAT VIDEO!!" I am so sorry my words and actions don't match! I got my stuff together and edited the video I already had taped. It still needs some help! But bear with me, I get so nervous doing these videos! Leave me a comment and tell me what you think...even better...send me your pictures. I love that! This ribbon isn't retiring...so go to my online store and order Satin Stitched ribbon, hearts collection framelits, heart punch, and Scalloped Heart of Hearts Embosslits (this is retiring!)! This is a good time to get your cup of tea or coffee and check out the great sale. Click here to shop online.